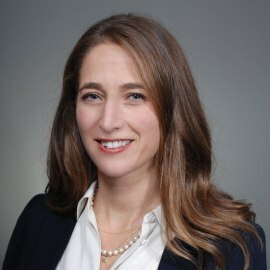 Ms. Friedman joined Bentall Kennedy as Senior Vice President and Co-Portfolio Manager of Bentall Kennedy U.S. Strategic Value Fund from Morgan Stanley Real Estate Advisors, where she was an Executive Director. Since 2007, at Morgan Stanley, Ms. Friedman executed over $1.5Bn of real estate acquisitions through various asset classes including office, multifamily, non-performing loans, land development and hospitality. She focused on originating and underwriting investments throughout the Western geographies. Prior to Morgan Stanley, Ms. Friedman was an Investment Associate within the Structured Finance Group at CapitalSource Finance, where she focused on originating and underwriting high yield debt, first and second mortgages and mezzanine financings secured by real estate assets. Prior to CapitalSource, Ms. Friedman was an analyst in the Real Estate Investment Banking Group at Banc of America Securities. She holds an MBA from the Wharton School and a BA in Philosophy, Politics and Economics from the University of Pennsylvania. Ms. Friedman lives in San Francisco with her husband and two lovable toddlers Leo and Margot.